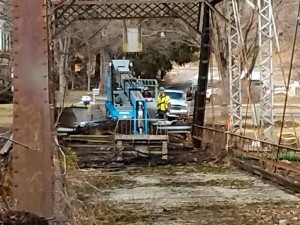 On Tuesday, crews began the tedious demolition of the bridge that once connected Eaton Terrace with the rest of Eatonville, which straddles Bowmans Creek in Wyoming County. Eaton Township officials plan to have a new pedestrian and biking bridge constructed at the site. 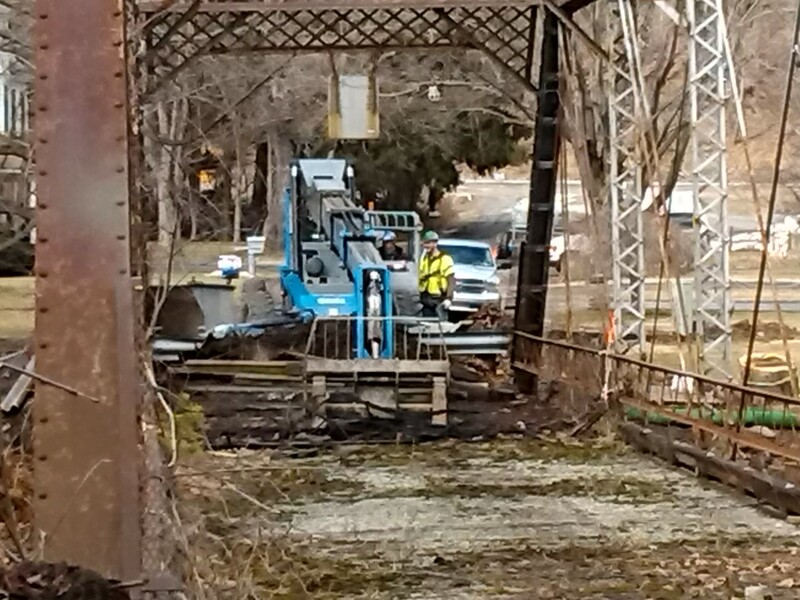 While the construction of a new bridge to carry Route 29 over Bowmans Creek in Eaton Township resumed upstream, a separate crew began dismantling an old metal bridge at Eatonville that has been closed for decades. Netting to catch debris was hung under the single span, and signage was placed along the creek banks below and above the bridge to alert recreationists of the project, which precedes the construction of a new bridge this summer. The new span will be part of the Seneca Trail project. Devised by Eaton Township officials and funded in part by the Endless Mountains Heritage Region, the six-mile walking and biking trail loosely parallels Bowmans Creek and Route 29 from the Monroe Township line to the Tunkhannock River Bridge. Right-of-ways were acquired by the township at no cost to tax payers. 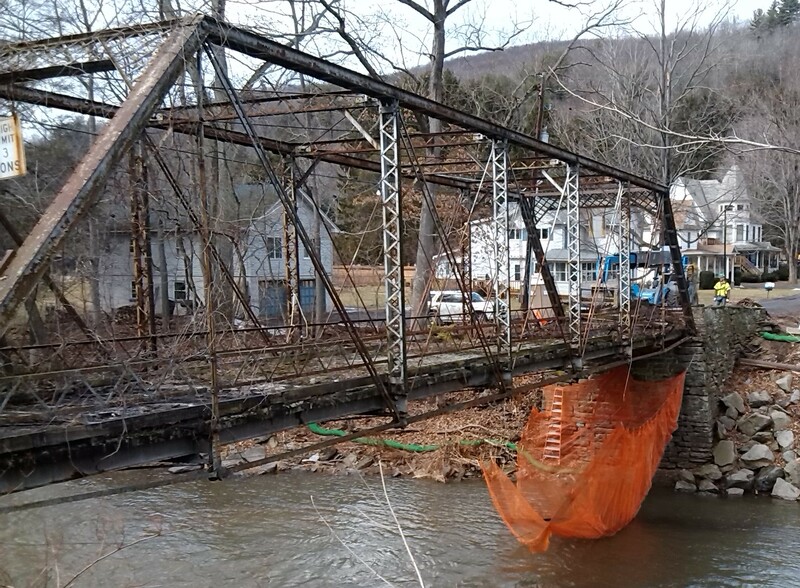 Township supervisors and many local residents had hoped that the iconic bridge could be saved and modified for its new intended use, but the structural integrity of the metal bridge had been compromised by the elements and neglect, requiring its complete removal. Nonetheless, workers on March 17 were finding the roadbed of the bridge to be more difficult to tear apart than expected and could not estimate how long this phase of the project will take. It is hoped that the new Seneca Trail, for which signage was erected in the Fall of 2014, will bring bikers and hikers into the area and make the township’s natural beauty more accessible to residents.